The pattern is printed out on a massive piece of white print paper and most pieces are cut on the fold. You need just under two metres of fabric for the coast and eight buttons. The pattern isn't lined, but instead calls for five metres of wool binding to finish the seams. 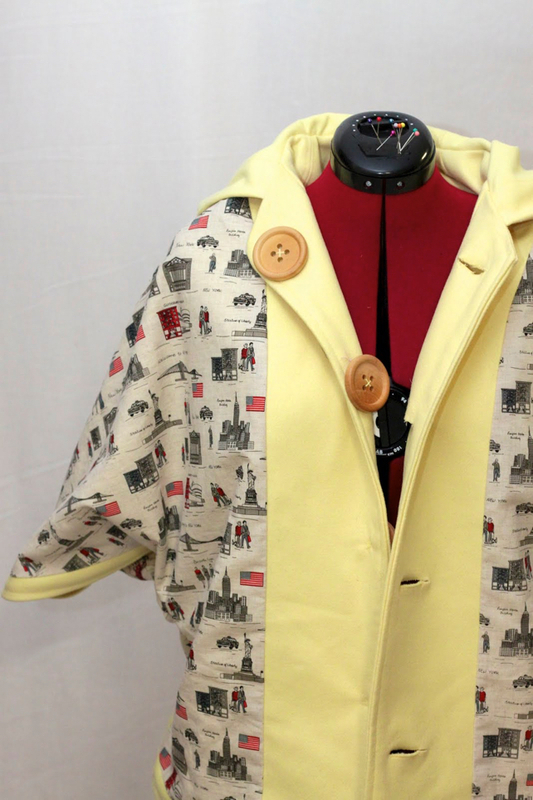 I chose instead to line the hood and jacket with some funky cotton fabric that I found at spotlight. The fabric is covered in icons from New York (oh I do love a theme)! It's so nice to wear a jacket that has something going on in the inside, and lining the jacket also eliminated the need for binding all the edges. 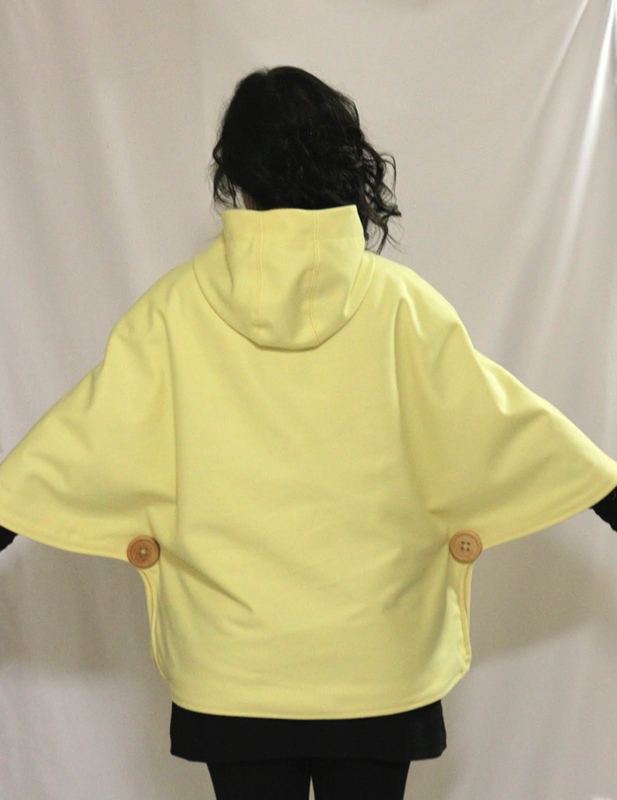 The pattern sizing is 'one size fits 10-16', but because the jacket is a cape and not fitted, the sizing wasn't an issue. If you were really petite you might want to think about reducing the width of the cape as I'd say it feels about a size 12 in the shoulders, and a 14-16 around the belly and hips. 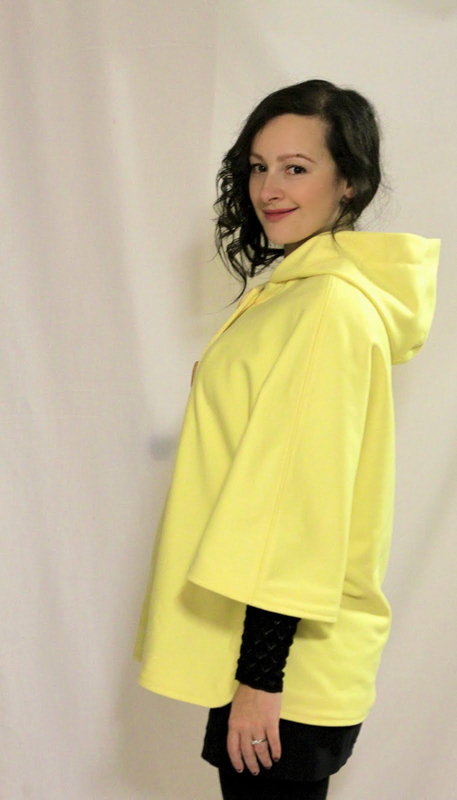 I made the cape out of a delicious yellow wool/cashmere blend that I found at The Fabric Store and instantly fell in love with. I love the bright, buttery colour. 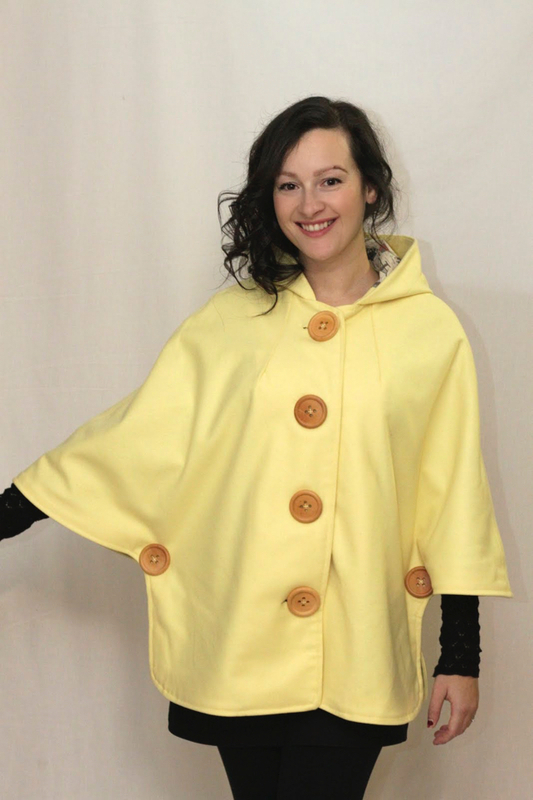 I finished the cape off with some massive wooden buttons, which gives it a classic cute-ness. All up the cape was created in one day, which was a pleasant suprise. I wore it out the same day I made it and oh boy was I toasty warm. 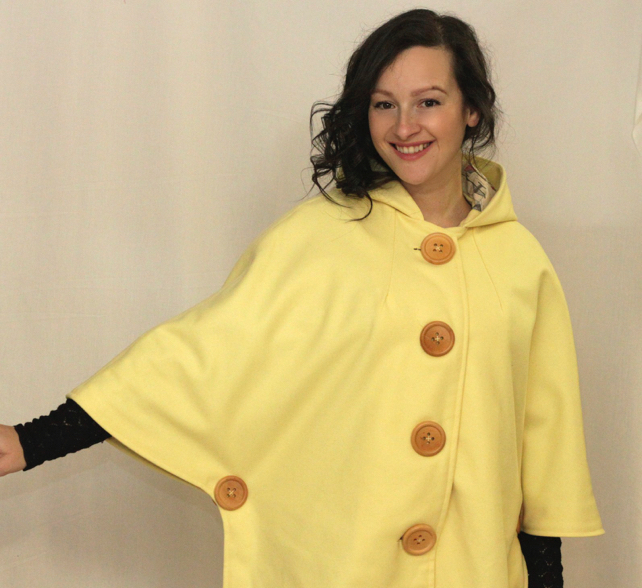 I love my Tessuti New York Cape! I need that New York fabric but can't find it on the online store, before I make the effort to physically go in please could you tell me if it's current range or if you bought it ages ago? Thank you!.Congratulations on the win by the way, your dress if fantastic. You will love New York it is the best city in the world! It will inspire you. I've been twice in the past couple of years and pining for it...thus needing the fabric! Thanks so much! I am ridiculously excited to go to new York and shop up on some awesome fabrics! 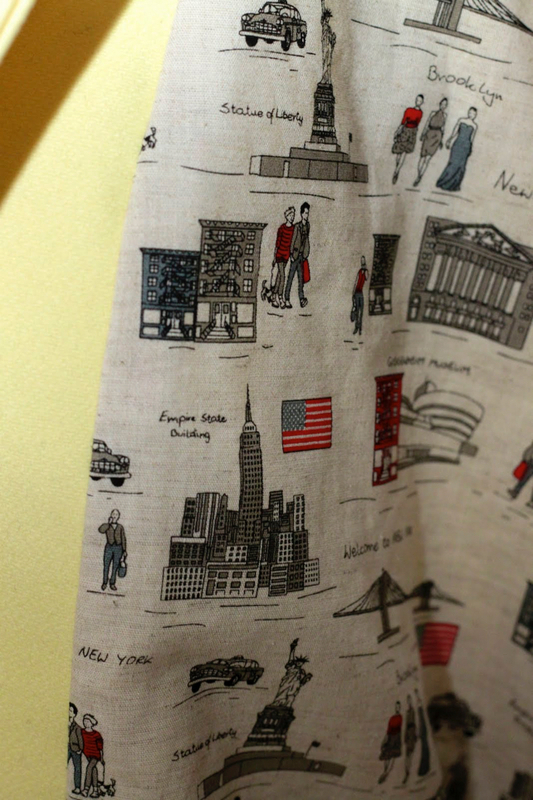 Speaking of fabric, I bought the new York print cotton from Spotlight some months back. With any luck they'll still have it. 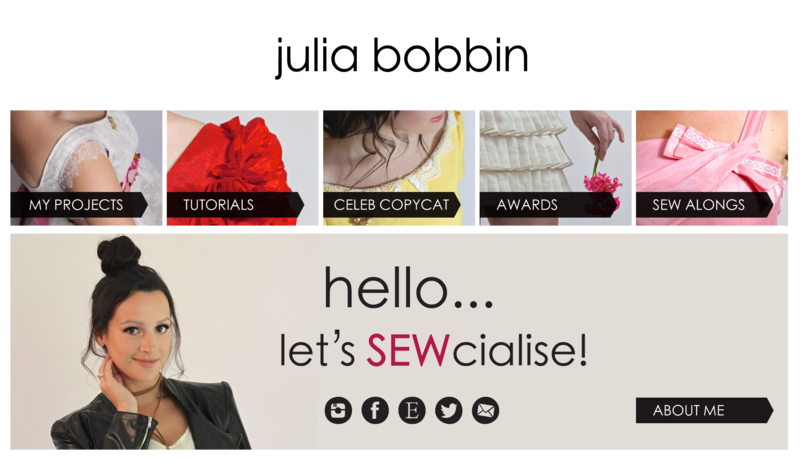 Its actually quilting fabric so head to that section first! Good luck! I do love this yellow, it is so cheerful! I love the lining but I don't think it hangs as well with the lining. I wouldn't advise anyone to purchase the online version of this pattern, especially if you have any experience with adobe illustrator.It has been very poorly translated into PDF which makes it difficult to tape all the pieces together. The pattern still sews up fine, but I feel I wasted a lot of time getting the pattern together and for $10 I would have expected more from a company such as Tessuti. I'm just about to make one of these myself for Melbourne winter which is about to rear it's ugly head. How did you go about making the lining?